We’re here to help make sure you have the support you need. We provide care for your kids, ages 6 weeks to 5 years. Our Mission: To assist Department of Defense (DoD) military and civilian personnel in balancing the competing demands of the accomplishment of the DoD mission and family life by managing and delivering a system of quality, available and affordable programs and services for eligible children and youth, birth through 18 years of age. The CDC provides care for children ages 6 weeks to 5 years. The center is accredited by the National Association for the Education of Young Children and follows the standards set by the Air Force Services Agency. The center provides a safe, nurturing environment that promotes the social, cognitive, language, and physical development of young children. Their goal is to support each child's needs and abilities and challenge them to reach their individual potential. Let the CDC staff enhance the educational development of your child in a developmentally-appropriate atmosphere! Children of active duty military personnel, DoD civilian personnel, reservists on active duty, and DoD contractors are eligible. Priority is given to families who are either single parents or whose spouse is employed full-time or a full-time student. Fees are based on total family income. Fees are based on total family income. The Air Force Aid Society (AFAS) recognizes that Air Force families are subject to unique stresses due to the nature of military life—deployments, remote tours of duty, extended working hours, etc. Families are often separated from spouses as well as from extended family member who might otherwise offer support. 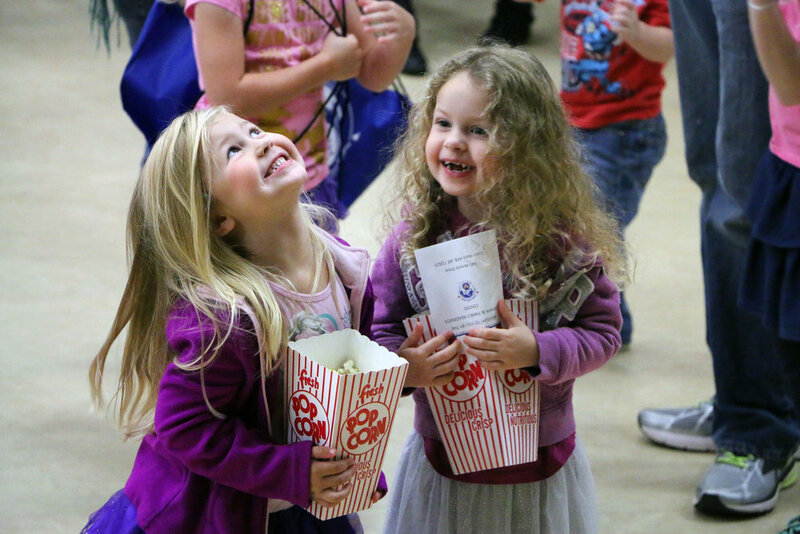 In an effort to help these families, the AFAS, in cooperation with Air Force child care community, has agreed to provide funding for child care for Active Duty Air Force families under a program called “Give Parent a Break” (GPAB). The purpose of this program is to offer eligible active duty Air Force parents a few hours break from the stresses of parenting. Families may use this time to suit their personal needs. In order to utilize this program, families may receive a referral from the Airman & Family Readiness Center, their squadron commander/first sergeant, a chaplain, or Family Advocacy personnel. All required forms must be completed and submitted and a reservation made with the Child Development Center by noon on the Wednesday prior the GPAB date. After registration deadline (12 PM, 3 days prior to event) hourly care is $5 per hour and will be available for open spaces. Questions? Call the Child Development Center - 501-987-6130. MilitaryChildCare.com (MCC) is a Department of Defense website for military families seeking child care. This site will allow families to search for and request care from a wide range of military operated and military subsidized child care options across all services to include Child Development Centers, School Age Programs, and Family Child Care Homes. A current list of providers that offer in-home child care can be picked up at the Family Child Care office (Building 1988), Child Development Center, (Building 1990), Infant Toddler Center (Building 1257), or Youth Center (Building 1992). For more information on the child care providers or on how to become a child care provider, please call 501-987-3156/6070. The purpose of the Expanded Child Care (ECC) Program is to assist families in obtaining high-quality child care from licensed or affiliated providers at or near the base when weekly parental workloads, due to extended duty hours, exceed the 50 hours of care (typically 10 hours a day or a 5-day work week) that families are already purchasing in child care programs on or off base. The ECC program is administered through the Family Child Care Program and is currently provided at no cost to families. Families should establish a plan to meet all their child care needs e.g., short-term TDY's, shift work care where shift work is typical assignment, etc. The ECC program should be considered the "back-up plan." Care is dependent upon availability of funding and providers. The FCC Coordinator is the POC and supports the program by ensuring FCC providers are screened, trained and licensed/affiliated to provide care. The FCC Coordinator monitors the homes and conducts unannounced inspections during the hours of operation of the home. The ECC homes are required to meet all of the requirements of the Air Force FCC program. To be eligible for this program at least one parent must be a member of the U.S. Military Service: Active Duty; Reserve or Guard member in activated status; dual employed (military married to civilian) or DoD civilian employee assigned to or working on the installation. Being provided care is a privilege, not a right, and the Family Child Care (FCC) program will retain final approval authority on whether or not a child is accepted for care. First priority is given to parents whose children are currently enrolled in the Air Force Child Development, School-age and/or FCC programs. Home Community Care, Return Home Care, Pre-Deployment Care, Deployed Care, Medical Care- Medical Emergency and approved by AFPC/SVPYC, Wounded Warrior Care, Child Care for Fallen Warriors, Permanent Change of Station Child Care and OCONUS Respite Care. Provides temporary assistance until other arrangements can be found. Federal holidays/installation wide down days when AF CYP, FCC (Child Youth Programs and Family Child Care homes) are closed and parents are required to work to meet mission requirements. Click here for updated FCC Deployment Care! To provide shift work care where shift work is a typical assignment. For off-duty education and employment on a recurring basis. + Join the Team of FCC Providers! If interested in becoming a licensed FCC/ECC provider, please call Jill Lund, FCC Coordinator at (501) 987-3156/7162/6355. Note: Base housing residents providing child care on a regular basis or more than 10 hours per week in their homes must be a LICENSED provider. For more information pertaining to the ECC program or to find out your qualifying status please contact Jill Lund, FCC Coordinator at (501) 987-3156/7162/6355. The Exceptional Family Member Program - Family Support (EFMP-FS) is designed to provide support to military family members through a variety of personal, medical, and family support functions. The EFMP program is mandatory for all Department of Defense active-duty service members. It is designed to identify family members with special medical and/or education needs.